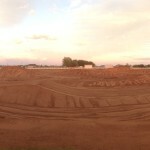 Dream Traxx Motocross Track Builders | Welcome to the new DreamTraxx.Com! Welcome to the new DreamTraxx.Com! Home / Blog / Welcome to the new DreamTraxx.Com! Well, we have been working on it for awhile! 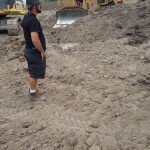 It’s definitely hard to work on a website when you are always in a bulldozer – but here it is. We have been putting in the extra hours in front of the computer when the equipment was put away for the night to bring you the new DreamTraxx.Com. Our goal for the new website is to bring to life what we do, how we work, and the creations we make. 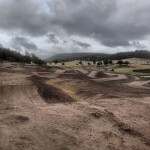 We have tried to put alot of emphasis on the photo gallery to help show off the tracks we create. As a team, we will also be working together to help bring our ‘job’ to life by blogging about where we are and what we are building. 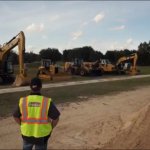 So be sure to follow along and stay tuned for the crazy adventures of a Dream Traxx track builder. The final goal of the new website, is to show the public that we are not unreachable. So many times we are contacted hesitantly by people thinking we only build for the ‘Pros’ or that are prices are out of reach – yet that is so far from the truth. Some of our favorite track builds are for the small amateur riders in their private backyards. We love to see the smiles on their little faces when they ride around their new track for the first time. As far as prices – we are very competitive within the market. We will build for any budget (within reason) and do our best to bring you the biggest and best Dream Traxx YOU can afford! We hope you enjoy this sneak peak into our dirt filled world! Australia – are you ready? !